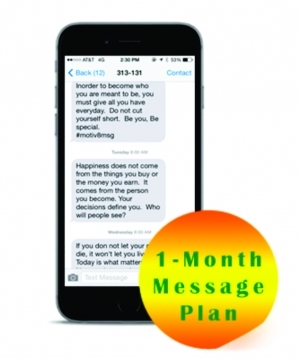 Motivating, Inspiring, Positive messages sent to a cell phone of your choice via text message, the most powerful form of communication today. �You will also receive an inspiring email. I hope you enjoy the service and that the messages are inspiring, impacting, and life changing.